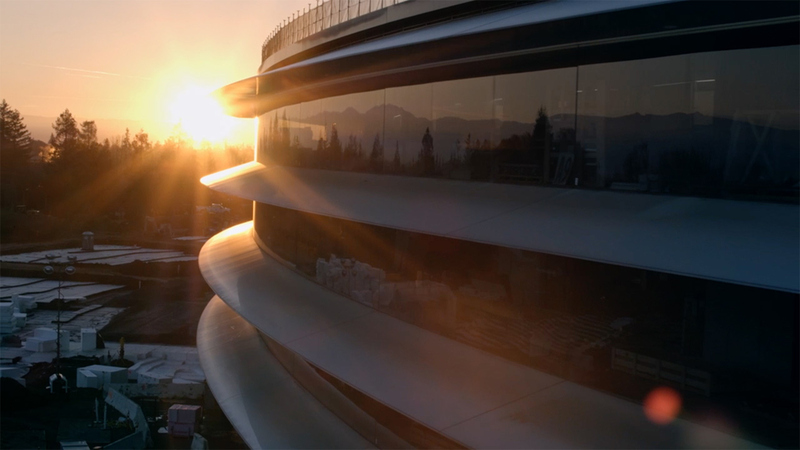 Apple Park, Apple’s extravagant ring-shaped campus headquarters is nearing completion, bringing to life Steve Jobs’ vision to create a home of innovation for generations to come. The 175-acre campus, which aims to be a centre for creativity and collaboration, is a sprawling site of glass and nature, with the company creating artificial grass covered hills and planting more than 9,000 native trees around the grounds. At the centre of the campus is the impressive 2.8 million square-foot main building, which has been nicknamed ‘The Spaceship’. The huge ring-shaped building is clad entirely in glass and features some of the world’s largest curved glass panels. The huge ring-shaped building is clad entirely in glass and features some of the world’s largest curved glass panels. The breathable building features a “natural ventilation” system that circulates natural air throughout the building. It’s also powered completely by renewable energy from 17 megawatts of rooftop solar panels throughout the grounds. Apple Park also includes a 1,000 seat auditorium, The Steve Jobs Theatre, as well as a visitors centre, an Apple store, a cafe, a fitness centre, walking and running paths, an orchard, meadow, and pond. 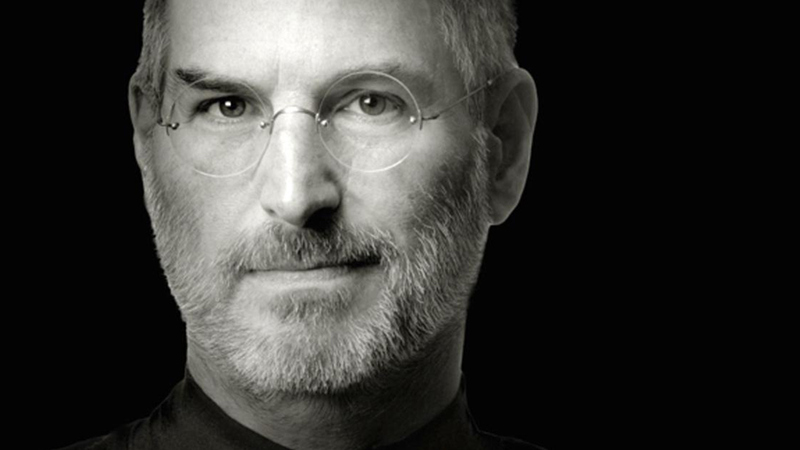 The Cupertino campus was the vision of the company’s late founder Steve Jobs and was brought to life by architects Norman Foster and his firm Foster + Partners, along with Apple CEO Tim Cook and Chief Design Officer Jony Ive. The aim of the site was to create a space that would inspire the next generation of Apple employees. 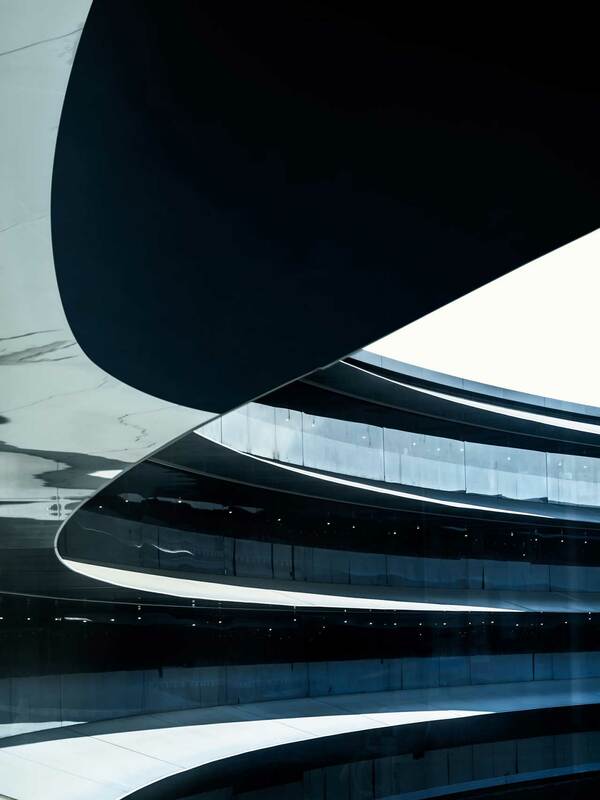 The building is unmistakably Apple, from the sleek curved shape to the liberal use of aluminium and glass, it is infused with Apple’s signature design details. Not only does the campus look like Apple but it is also a representation of the brand’s value and ideas. Apple Park is a perfect symbol of Apple’s dedication to innovation, boldness and beauty. It aims to inspire and motivate all Apple employees to aspire to be creative, to think differently, push boundaries and think outside the box. 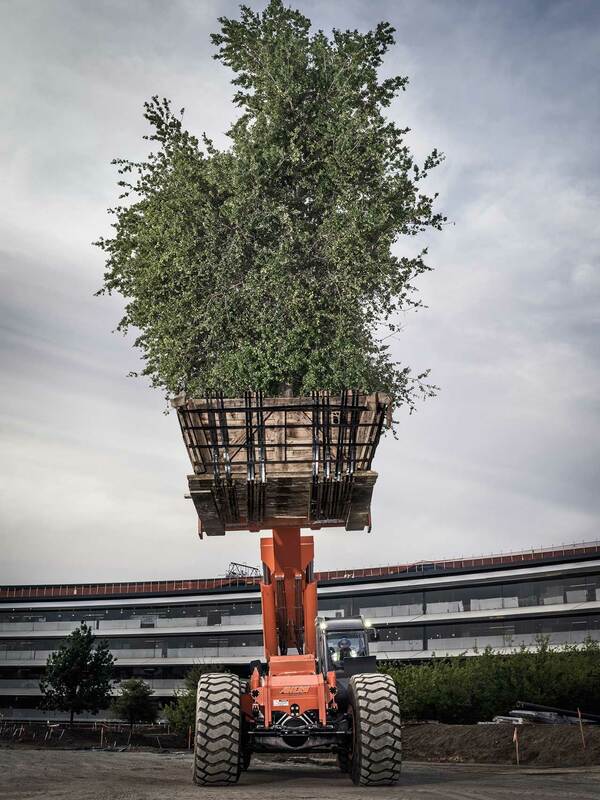 Apple Park is a perfect symbol of Apple’s dedication to innovation, boldness and beauty. In many ways it is a literal translation of those ideas, right down to creating a ring-shaped building rather than a square box. Central to Jobs’ vision for the campus was the role of nature and his aim was to create a space where employees could see and feel the natural world while they worked. 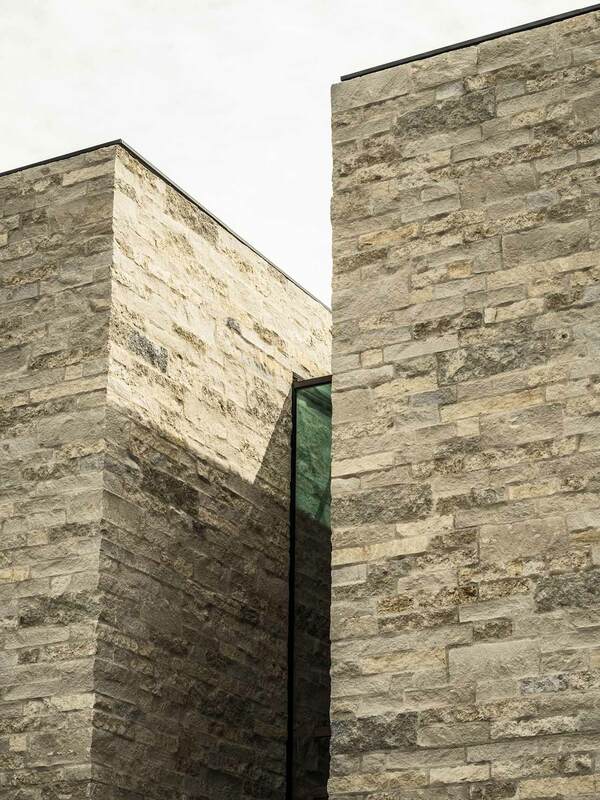 He wanted to create an office that would blur the line between the building and the natural world. Jobs wanted to create an office that would blur the line between the building and the natural world. 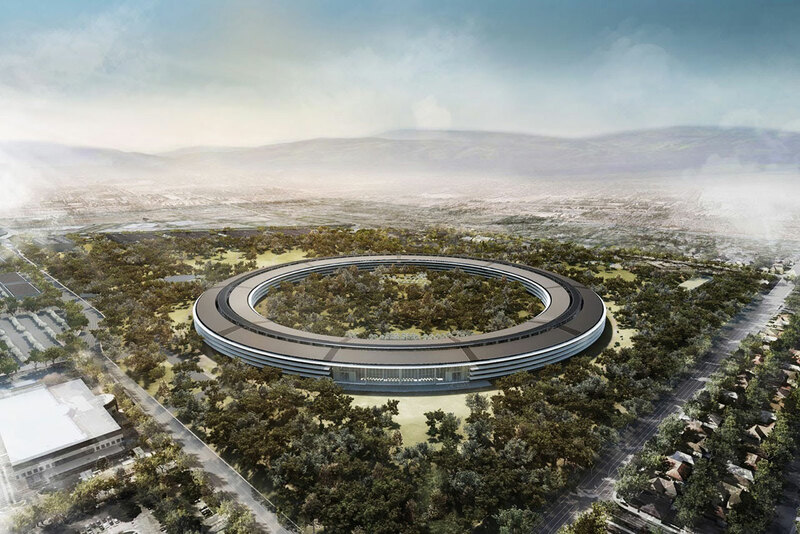 However, the site has not been without its criticisms with shareholders complaining about the costs, which are reported to have ballooned to US$5 billion and critics arguing that Apple Park’s “walled garden” is at odds with the more collaborative approach of other tech businesses which are embedding themselves in cities among users. There is no denying Apple Park is Steve Jobs’ vision for the company’s future and it is a beautiful physical embodiment of the brand he created, but is it a fitting representation for the brand’s future? Only time will tell. Apple is a design leader, and Apple Park exercises the brand’s visionary streak in office architecture and working environments.